The latest addition to our Royal commemorative range. A bobbin to celebrate the 90th birthday of HM Queen Elizabeth II - a very special bobbin for a very special lady. The bobbin has been designed around a purple theme - the official colour for a 90th birthday and which represents "celebration"
The body of the bobbin is painted in a soft purple and is decorated with a Crown and 2 laurels featuring deep purple flowers tinged in a gold colour and green leaves. 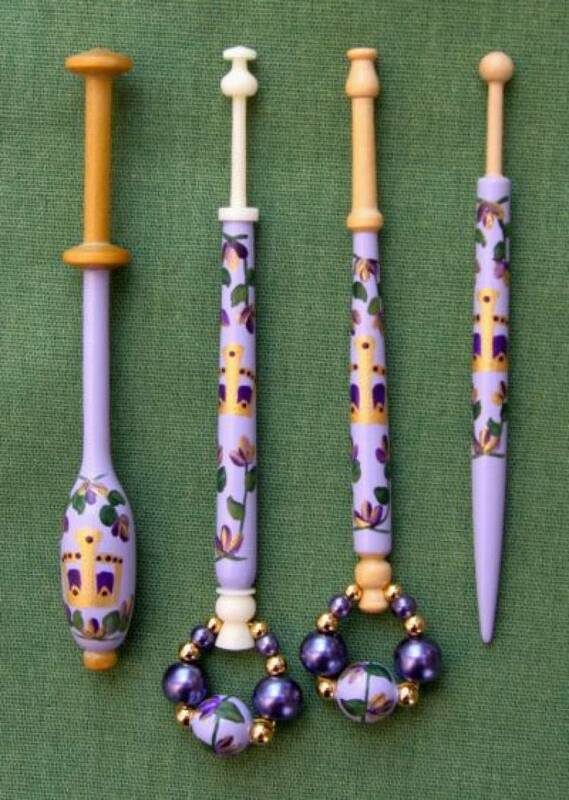 Available on wood or bone East Midlands style bobbins complete with a matching spangle. Also available on Continental and Honiton Style bobbins.